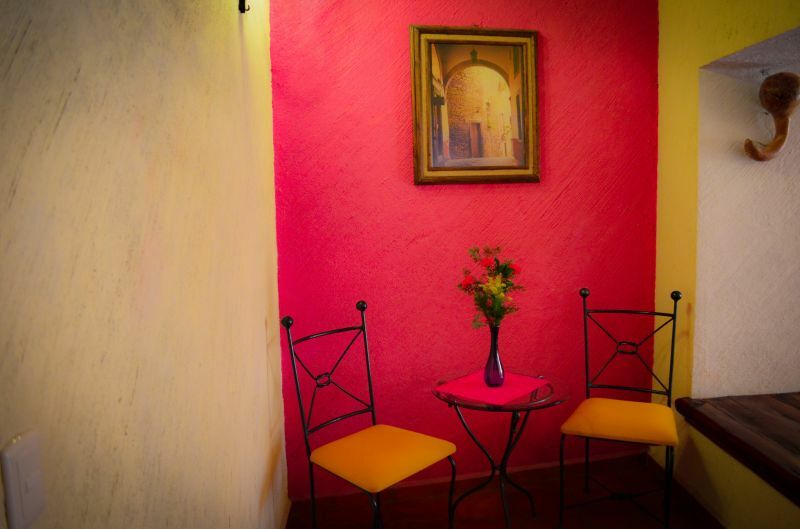 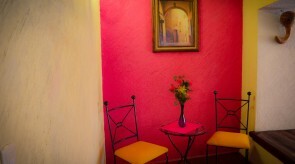 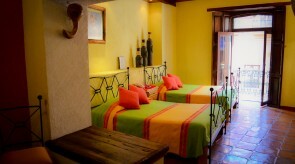 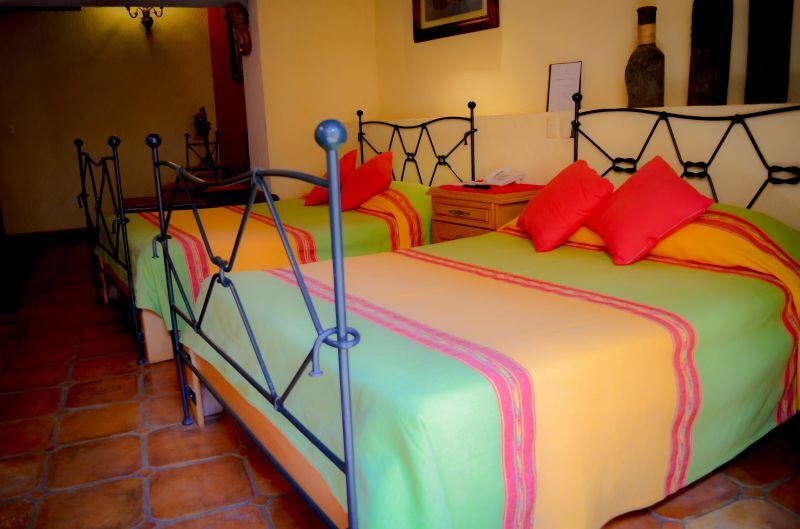 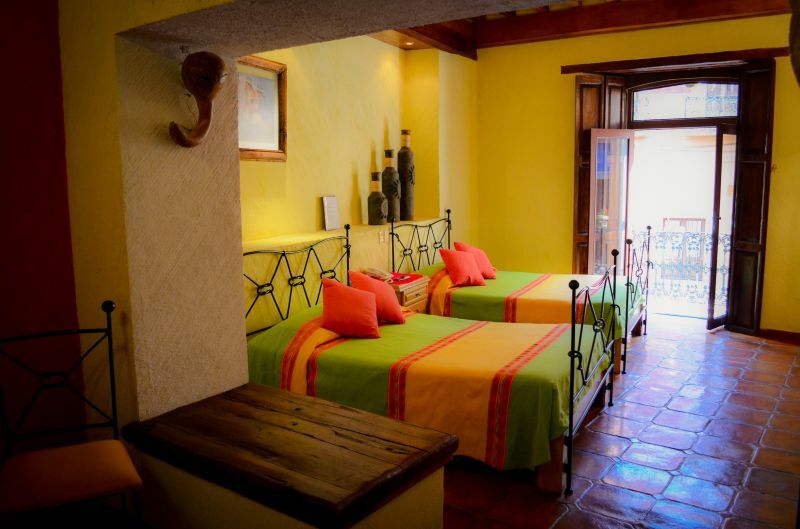 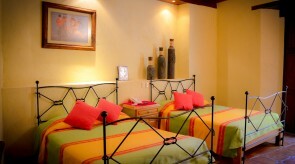 Spacious room with a balcony over Callejón de Galarza, from which you can sit back and enjoy nighttime Guanajuato. 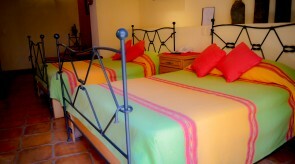 Two double beds and a dressing table. 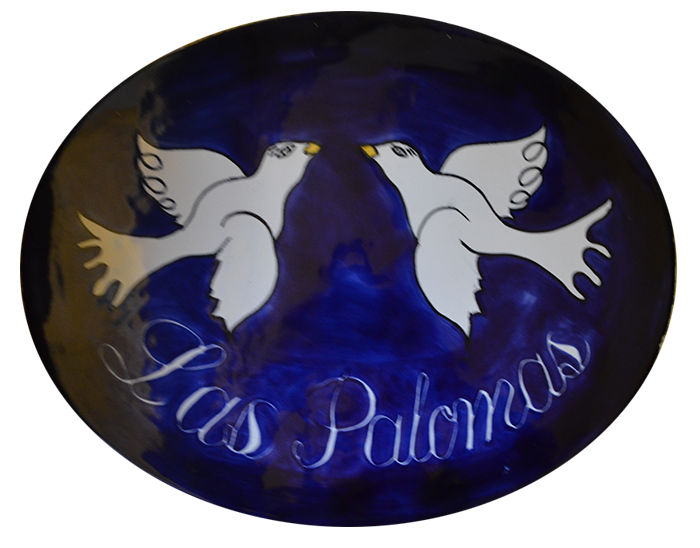 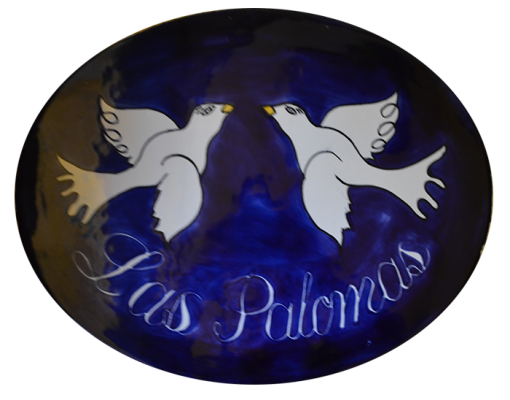 Bath with hydromassage tub and Talavera tile accents. 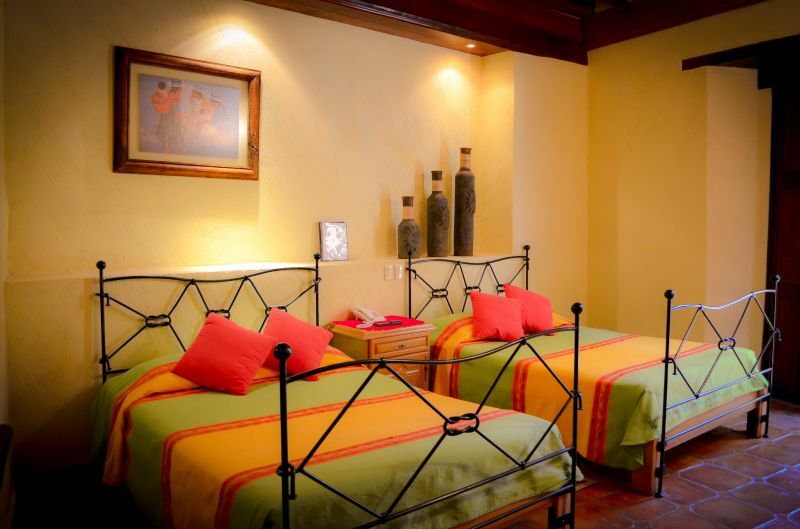 Wood beam ceilings and clay tile floor.